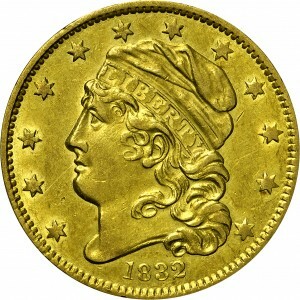 This is the famous and extremely rare variety with 12 obverse stars, acquired by Harry Bass from the Eliasberg Collection. 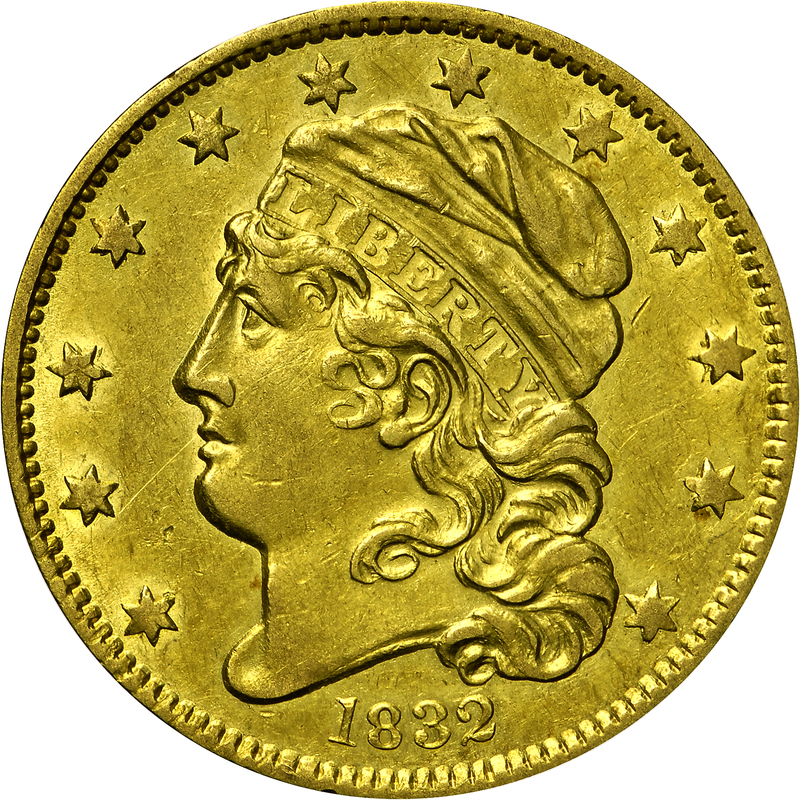 Louis Eliasberg, Sr. purchased this coin in 1946 from B. Max Mehl’s sale of the William Cutler Atwater Collection. Just six examples were known to Walter Breen when his Complete Encyclopedia of United States and Colonial Coins was published in 1988. Among those six are two examples in the Smithsonian Institution and one then in the Western Heritage Museum, from the Byron Reed Collection. From the Bowers and Ruddy Galleries sale of the Louis Eliasberg Collection, October 1982, Lot 393. Earlier from B. Max Mehl's sale of the William Cutler Atwater Collection, June 1946, Lot 1650. "Obverse: 12 Small stars. Curve-based 2. Top of 1 barely above that of 8. All stars recut, many quite evident. Final stars quite deeply punched into die, having two unusual effects. First, the sides of the points are quite sharply delineated. Second, the tops of the stars lack all or most of their usually seen incuse radial lines - the design being too deep within the die cavity to be reached by the normal metal flow. 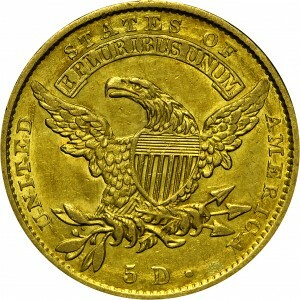 Reverse: Small 5 and D - top of 5 concave. Oblate period quite distant. Rear talon beneath top leaves pair. Die center punch lump in shield. I beneath T. Arrow tip beneath I. Heavily lapped."